Fifty years ago, the construction industry lacked a chemical manufacturer that could not only engineer and consistently produce quality concrete treatments, but also provide safe and efficient packaging of those products. By addressing these concerns, Kaufman Products soon became, and continues to be, a leader in the industry. While we still practice those principles, today’s world requires that our products have “immediate” availability. Therefore, as a commitment to our customers, we stock more than 40,000 gallons of epoxy-resin systems and more than 100,000 gallons of curing & sealing compounds in our tank farm; we also have warehouses located strategically throughout the United States. We are extremely proud of the fact that 95% of all orders ship within 3 working days. Kaufman Products offers many other advantages, most importantly, that our products are safer to use because we provide complete MSD information on every product label to reduce the risk of misuse, accidents, and liability. In addition, we include clearly written directions to prevent possible errors in application. All of our information sheets are available in both English and Spanish to facilitate better understanding on the jobsite. Our continuing commitment to a “greener” industry is evident not only because we were among the first in the industry to produce VOC compliant water emulsion cures, but also because many of our products are now approved by Building Green Inc. This approval means that our products may be used for all work involving the U.S. Green Building Council and credits may be earned toward the LEED system. As a long-term leader in the invention and production of “greener” products, Kaufman Products continues to set the pace for manufacturers. 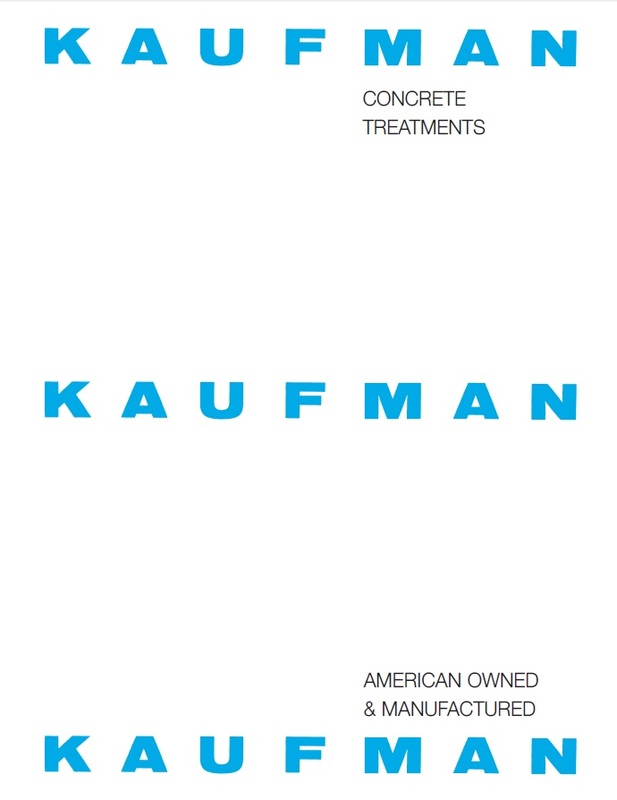 Another advantage with Kaufman Products is that all products are manufactured in our own plant, thereby providing numerous advantages to our customers. High quality can be insured, and costs can be contained while providing consistent and precise results. We incorporate state of the art equipment, utilizing computer controlled batching systems, and maintain over 200,000 gallons in a raw materials tank farm so that we can provide top-quality products on time.